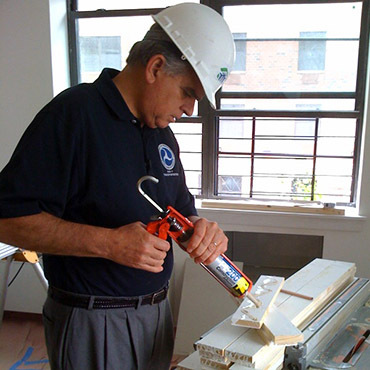 Adhesive may be used interchangeably with glue, cement, mucilage, or paste, and is any substance applied to one surface, or both surfaces, of two separate items that binds them together and resists their separation. Adjectives may be used in conjunction with the word "adhesive" to describe properties based on the substance's physical or chemical form, the type of materials joined, or conditions under which it is applied. Adhesives may be found naturally or produced synthetically. The earliest human use of adhesive-like substances was approximately 200,000 years ago. The first references to adhesives in literature first appeared in approximately 2000 BCE. The Greeks and Romans made great contributions to the development of adhesives. In Europe, glue was not widely used until the period 1500–1700 CE. From then until the 1900s increases in adhesive use and discovery were relatively gradual. Only since the last century has the development of synthetic adhesives accelerated rapidly, and innovation in the field continues to the present. Contact adhesives are used in strong bonds with high shear-resistance like laminates, such as bonding Formica to a wooden counter, and in footwear, as in attaching outsoles to uppers. Natural rubber and polychloroprene (Neoprene) are commonly used contact adhesives. Both of these elastomers undergo strain crystallization. In the construction industry a specialised proprietary adhesive known as "liquid nails" is used. This also copes with tasks such as sealing artificial turf. Hot adhesives, also known as hot melt adhesives, are thermoplastics applied in molten form (in the 65–180 °C range) which solidify on cooling to form strong bonds between a wide range of materials. Ethylene-vinyl acetate-based hot-melts are particularly popular for crafts because of their ease of use and the wide range of common materials they can join. 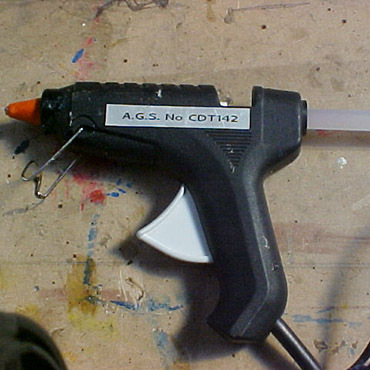 A glue gun is one method of applying hot adhesives. The glue gun melts the solid adhesive, then allows the liquid to pass through its barrel onto the material, where it solidifies. Multi-component adhesives harden by mixing two or more components which chemically react. This reaction causes polymers to cross-link into acrylics, urethanes, and epoxies. Ultraviolet (UV) light curing adhesives, also known as light curing materials (LCM), have become popular within the manufacturing sector due to their rapid curing time and strong bond strength. Light curing adhesives can cure in as little as a second and many formulations can bond dissimilar substrates (materials) and withstand harsh temperatures. These qualities make UV curing adhesives essential to the manufacturing of items in many industrial markets such as electronics, telecommunications, medical, aerospace, glass, and optical. Unlike traditional adhesives, UV light curing adhesives not only bond materials together but they can also be used to seal and coat products. They are generally acrylic-based. Heat curing adhesives consist of a pre-made mixture of two or more components. When heat is applied the components react and cross-link. This type of adhesive includes epoxies, urethanes, and polyimides.